Solving problems is even more AWESOME when they involve music! Fun ensues when Peg and Cat need to round up the missing members of their touring band in time for their big gig performing for 100 chickens. Then Peg and Cat hit the mall to join the Zebra Guy dance contest. Then Peg and Cat hit some wrong notes when they get stuck in a spectacular instrument built from junk. 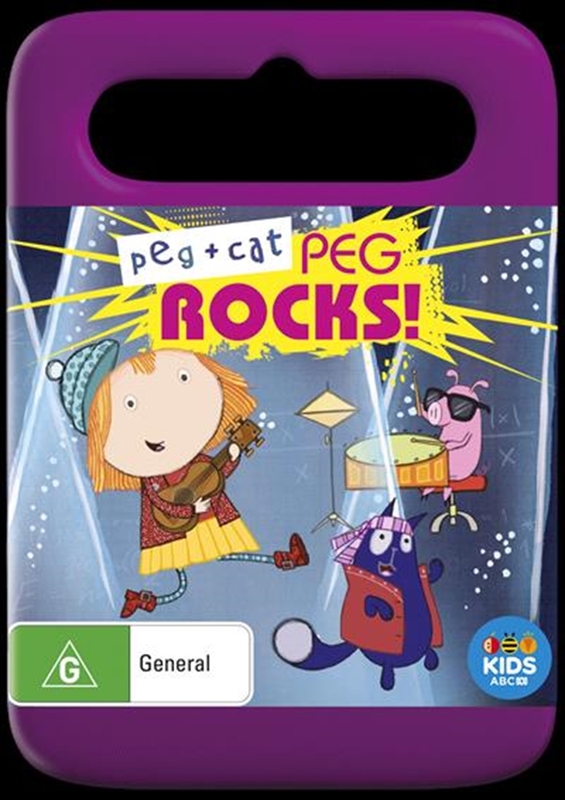 Title: Peg + Cat - Peg Rocks!